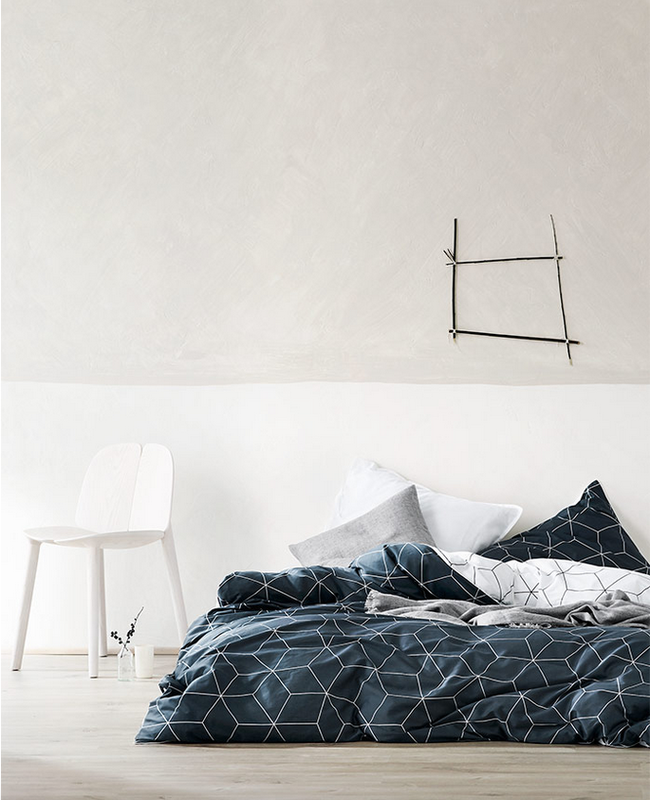 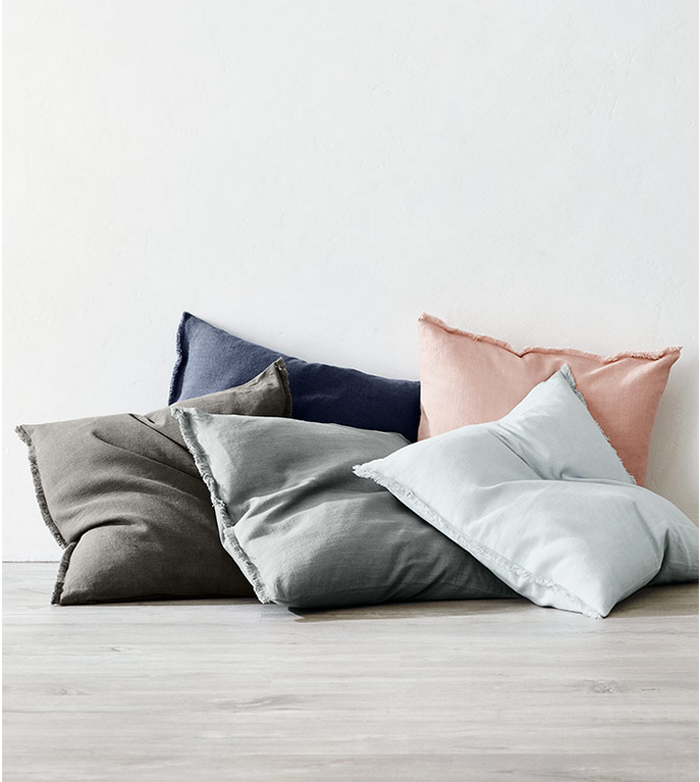 Australian home decor brand, AURA just released their new spring summer collection (southern hemisphere-version) and we're loving the return of a more muted palette and earthier fabrics. 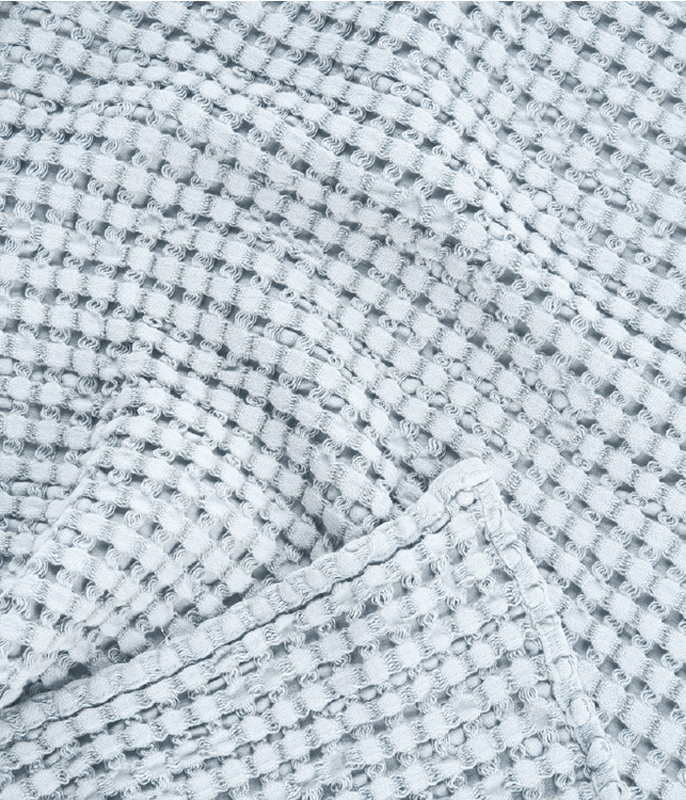 From stonewash waffle weaves and frayed trimmings to vintage linens and luxe towels. 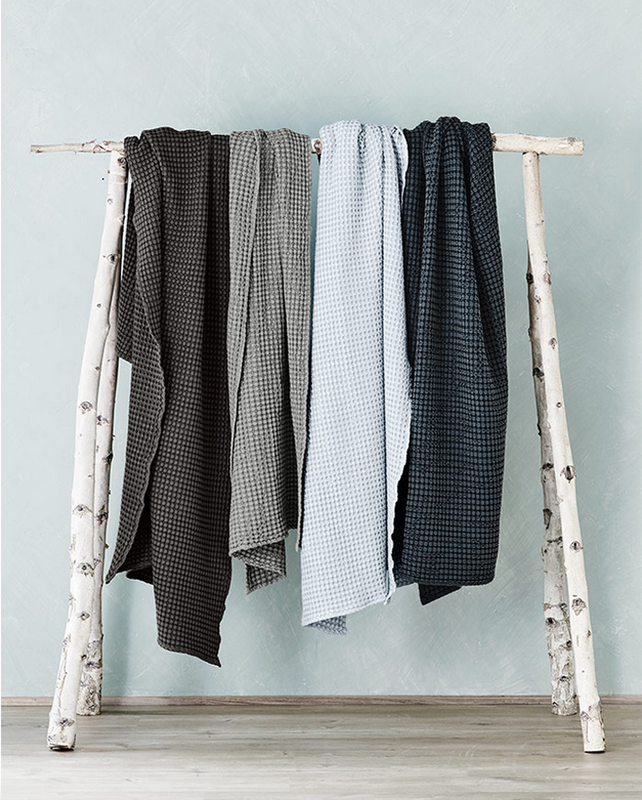 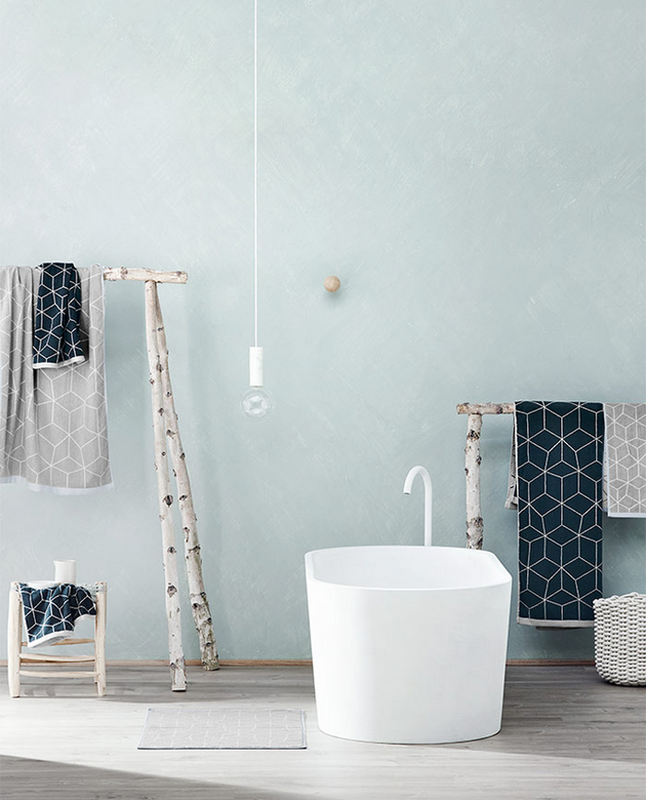 Colours like Flint, Pebble, Cloud Blue and Slate are a breathe of fresh air for a new season. 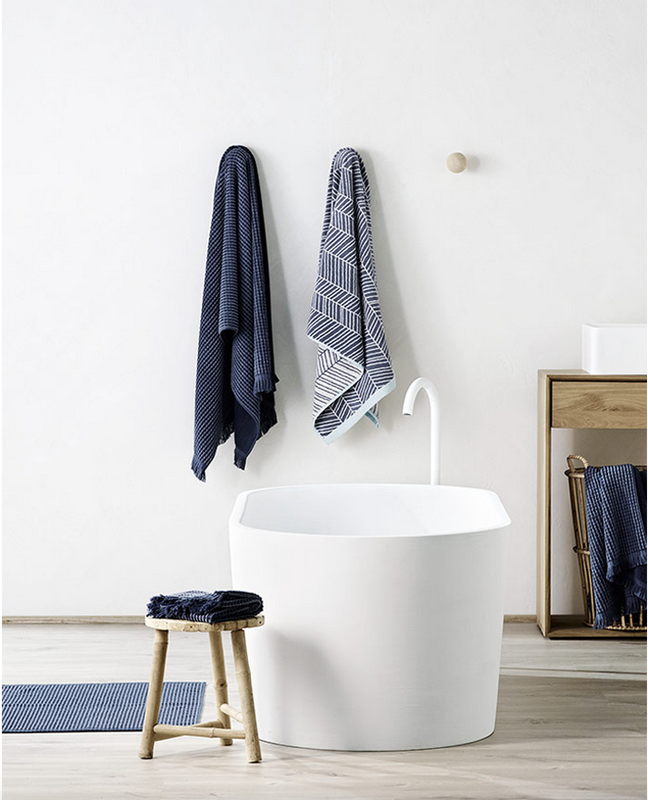 (As a side: Notice that birch towel rack DIY idea)?